What is FCA Campus Ministry? How Do I Do FCA Campus Ministry? 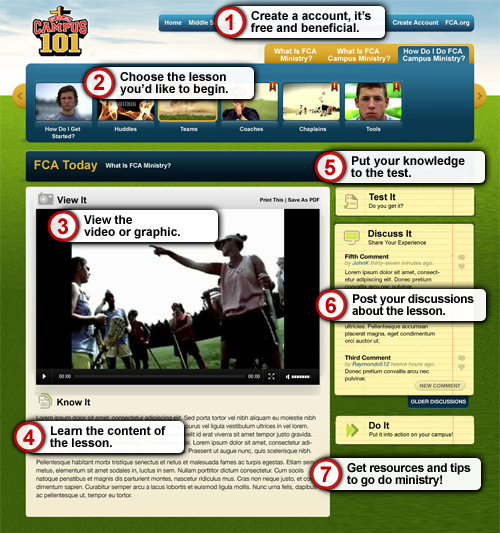 FCAResources.com brings all of FCA’s ministry resources together on one website. More than 1,700 devotionals, Bible studies, podcasts, videos, icebreakers, skits and more are accessible 24/7. 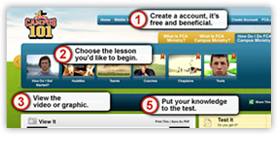 In addition, it allows anyone to create a free account and submit their own resources for the entire ministry to use. R12Coach.com is FCA’s discipleship process specifically for coaches. It is an online companion to the r12 printed study guide and DVD available for purchase. It includes more than 30 additional teaching videos from Chip Ingram not available anywhere else.